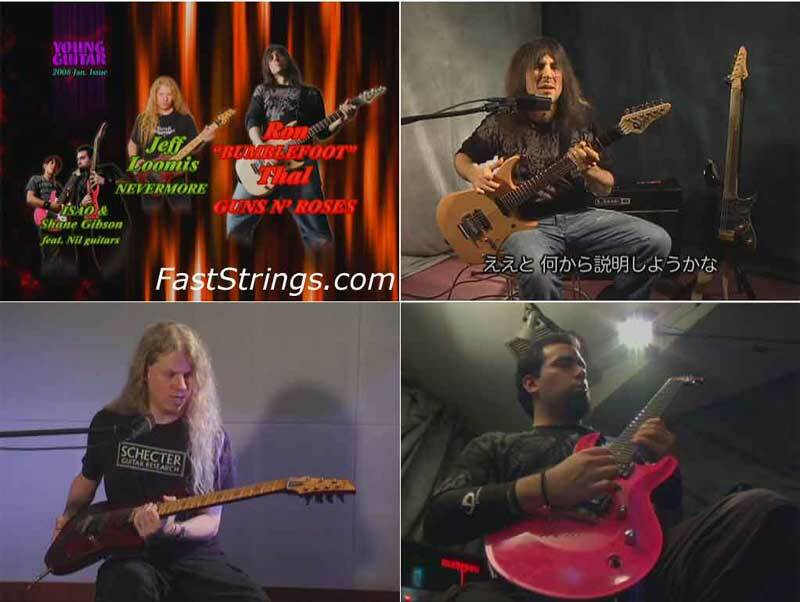 On this DVD you have a chance to watch lessons from 4 great guitarists: Jeff Loomis is an American musician, best known for his role as lead guitarist in the progressive metal band Nevermore; Ron “Bubmblefoot” Thal – Guns N’ Roses, is an American guitarist, songwriter, recording artist and producer; ISAO & Shane Gibson feat. Nil guitars. Shane Gibson is best known for being the backing guitarist for the American metal group Korn. ISAO is a friend of Shane Gibson.